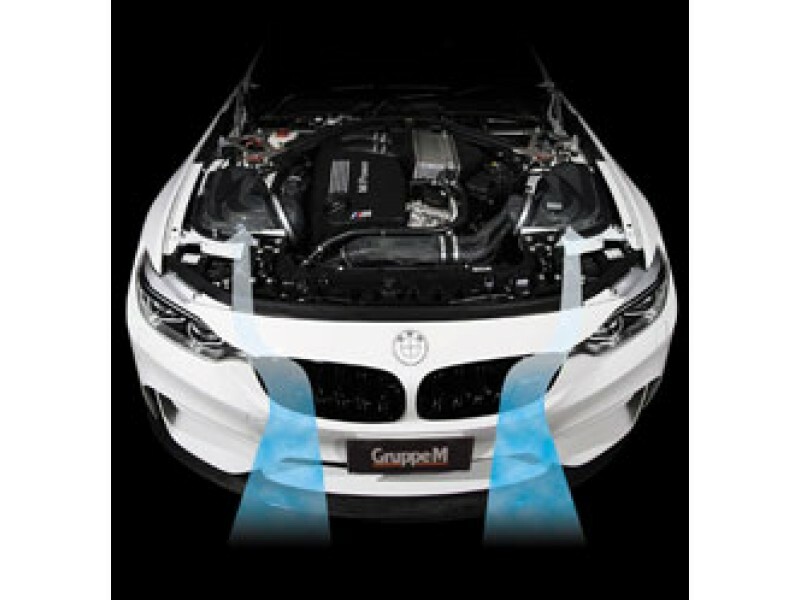 The GruppeM RAM air filter intake system for the BMW 4-Series F82 M4 3.0TT is made from high quality carbon fiber material specially designed for the BMW 4-Series F82 M4 3.0TT to increase its engine breathing and performance. 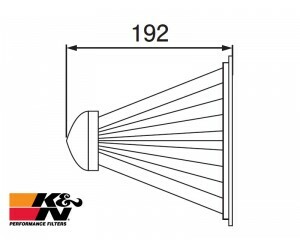 The large capacity filter case was designed to make use of engine room capacity to the maximum. 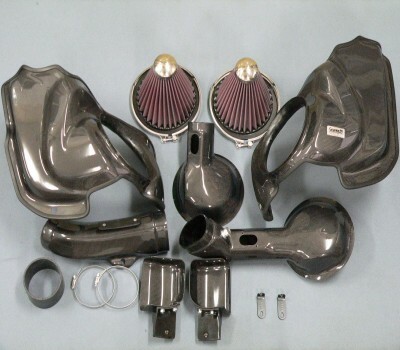 All adapter pipes for air mass sensor which is important to engine output and ECU setting, and also all intake suction, were produced with carbon. We finished them to the product which are involved in performance and quality. Furthermore, the running wind from the front is directly inhaled in carbon air introduction guide which is attached to the grill back part. Chassis dynamometer test and real run test were repeated. 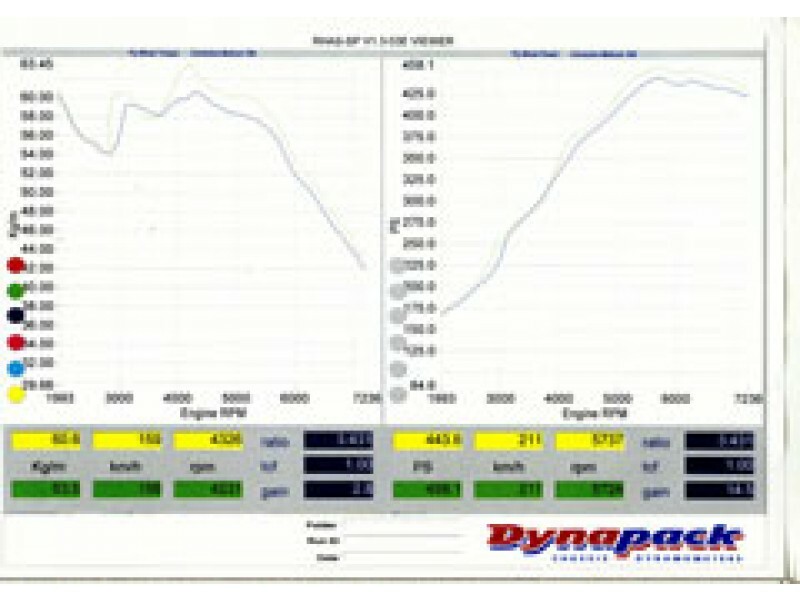 As a result, improvement of power and torque in all the domains was observed. In particular, revolutions rise of up to 5,500 rpm from 3,500 is outstanding. All of it are made of real carbon of japan production. 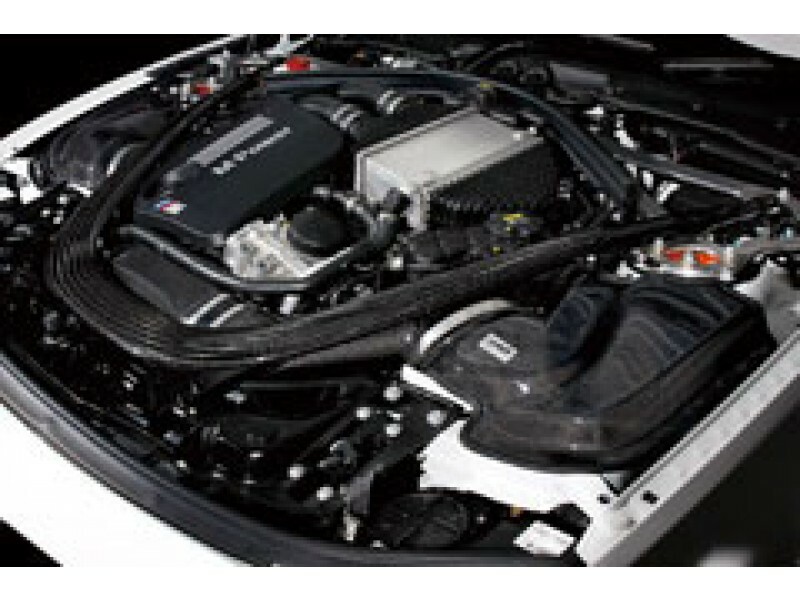 You will be satisfied with the feeling of presence in the engine room and also powerful air intake sound when you open the bonnet.